We welcome the introduction of the newest rule release from the VRT. In this release we introduced 34 new rules and made modifications to 13 additional rules. The Sourcefire VRT has added and modified multiple rules in the blacklist, browser-ie, browser-plugins, file-flash, file-multimedia, file-office, file-pdf, malware-backdoor, malware-cnc and server-webapp rule sets to provide coverage for emerging threats from these technologies. We welcome the introduction of the newest rule release from the VRT. In this release we introduced 43 new rules and made modifications to 17 additional rules. The Sourcefire VRT has added and modified multiple rules in the blacklist, browser-ie, deleted, exploit-kit, file-identify, file-other, file-pdf, malware-cnc, malware-other, os-linux, os-windows, protocol-voip and server-webapp rule sets to provide coverage for emerging threats from these technologies. This means we will no longer be releasing updates for this version of the rule engine. Users of this version are now encouraged to upgrade to the latest version of Snort, which is now Snort 2.9.5.6. We welcome the introduction of the newest rule release from the VRT. In this release we introduced 19 new rules and made modifications to 3 additional rules. The Sourcefire VRT has added and modified multiple rules in the browser-ie, browser-other, exploit-kit, file-identify, file-other and server-webapp rule sets to provide coverage for emerging threats from these technologies. We welcome the introduction of the newest rule release from the VRT. In this release we introduced 37 new rules and made modifications to 25 additional rules. this release and are identified with GID 1, SIDs 28867 through 28872. GID 1, SIDs 28464 through 28473, and 28525 through 28526. 28865 through 28866, 28873 through 28878, and 28880.
programming error that may lead to remote code execution. this release and are identified with GID 1, SIDs 28881 through 28882. We welcome the introduction of the newest rule release from the VRT. In this release we introduced 8 new rules and made modifications to 38 additional rules. Port 9111 was added to HTTP_PORTS, http_inspect, and stream5 both. The Sourcefire VRT has added and modified multiple rules in the blacklist, browser-ie, exploit-kit, file-flash, file-image, file-multimedia, file-office, file-pdf, malware-cnc, malware-other, os-windows and server-webapp rule sets to provide coverage for emerging threats from these technologies. We welcome the introduction of the newest rule release from the VRT. In this release we introduced 19 new rules and made modifications to 52 additional rules. The Sourcefire VRT has added and modified multiple rules in the deleted, exploit-kit, file-flash, file-office and malware-cnc rule sets to provide coverage for emerging threats from these technologies. We welcome the introduction of the newest rule release from the VRT. In this release we introduced 170 new rules and made modifications to 22 additional rules. The Sourcefire VRT has added and modified multiple rules in the browser-ie, browser-plugins, file-flash, file-other, file-pdf, indicator-obfuscation and server-webapp rule sets to provide coverage for emerging threats from these technologies. We welcome the introduction of the newest rule release from the VRT. In this release we introduced 61 new rules and made modifications to 20 additional rules. The Sourcefire VRT has added and modified multiple rules in the browser-ie, browser-plugins, deleted, exploit-kit, file-flash, file-identify, file-office, file-other, file-pdf, indicator-obfuscation, malware-cnc and server-webapp rule sets to provide coverage for emerging threats from these technologies. option to search outside the packet payload. Thanks to Nathan Fowler for noting the issue. a TCP session is created in Stream. being normalized. Thanks to Michael Galapchuk for reporting the problem. We welcome the introduction of the newest rule release from the VRT. In this release we introduced 21 new rules and made modifications to 11 additional rules. The Sourcefire VRT has added and modified multiple rules in the blacklist, exploit-kit, file-office, file-other, malware-backdoor, malware-cnc, malware-tools, pua-adware, pua-toolbars and web-client rule sets to provide coverage for emerging threats from these technologies. We welcome the introduction of the newest rule release from the VRT. In this release we introduced 56 new rules and made modifications to 610 additional rules. 28494 through 28496, 28504, and 28522 through 28524.
interface that may lead to remote code execution. this release and are identified with GID 1, SIDs 28509 through 28521. We welcome the introduction of the newest rule release for today from the VRT. In this release we introduced 2 new rules and made modifications to 8 additional rules. The Sourcefire VRT has added and modified multiple rules in the file-office rule set to provide coverage for emerging threats from these technologies. We welcome the introduction of the newest rule release for today from the VRT. In this release we introduced 49 new rules and made modifications to 57 additional rules. A coding deficiency in Microsoft Graphics Component could lead to remote code execution. Rules to detect attacks targeting this vulnerability are included in this release and are identified with GID 1, SIDs 28464-28471. The Sourcefire VRT has added and modified multiple rules in the blacklist, browser-firefox, browser-ie, browser-plugins, deleted, exploit-kit, file-flash, file-image, file-multimedia, file-office, file-other, file-pdf, indicator-obfuscation, indicator-scan, malware-cnc, malware-tools, netbios, os-windows, policy-other, server-apache, server-iis and server-webapp rule sets to provide coverage for emerging threats from these technologies. We welcome the introduction of the newest rule release for today from the VRT. In this release we introduced 27 new rules and made modifications to 7 additional rules. The Sourcefire VRT has added and modified multiple rules in the blacklist, exploit-kit, file-multimedia, file-office, file-pdf, indicator-compromise, malware-cnc, os-mobile and server-webapp rule sets to provide coverage for emerging threats from these technologies. We welcome the introduction of the newest rule release for today from the VRT. In this release we introduced 63 new rules and made modifications to 78 additional rules. The Sourcefire VRT has added and modified multiple rules in the blacklist, browser-firefox, browser-ie, browser-plugins, exploit-kit, file-flash, file-identify, file-office, file-other, file-pdf, indicator-obfuscation, malware-cnc, malware-other, malware-tools, os-windows and server-other rule sets to provide coverage for emerging threats from these technologies. We welcome the introduction of the newest rule release for today from the VRT. In this release we introduced 25 new rules and made modifications to 29 additional rules. The Sourcefire VRT has added and modified multiple rules in the browser-ie, exploit-kit, file-identify, file-office, file-other, file-pdf, indicator-compromise, indicator-scan, malware-cnc, netbios, os-windows, protocol-dns and server-webapp rule sets to provide coverage for emerging threats from these technologies. We welcome the introduction of the newest rule release for today from the VRT. In this release we introduced 14 new rules and made modifications to 28 additional rules. The Sourcefire VRT has added and modified multiple rules in the app-detect, blacklist, browser-ie, exploit-kit, file-image, file-pdf, malware-cnc and server-webapp rule sets to provide coverage for emerging threats from these technologies. We welcome the introduction of the newest rule release for today from the VRT. In this release we introduced 25 new rules and made modifications to 6468 additional rules. You should notice additional alerts in your console that you may have never seen before. If you believe these to be false positives, please file a false positive report here: Submit a False Positive or via the Snort-sigs mailing list. You may always find this link in the footer of Snort.org. rules are assigned to each policy. All new rules are placed into the policies based on these criteria. Rules in the listed policies are evaluated on a rule by rule basis. We welcome the introduction of the newest rule release for today from the VRT. In this release we introduced 1 new rules and made modifications to 8 additional rules. The Sourcefire VRT has added and modified multiple rules in the browser-ie, browser-plugins and server-webapp rule sets to provide coverage for emerging threats from these technologies. We welcome the introduction of the newest rule release for yesterday from the VRT. In this release we introduced 6 new rules and made modifications to 10 additional rules. The Sourcefire VRT has added and modified multiple rules in the browser-ie, exploit-kit and malware-cnc rule sets to provide coverage for emerging threats from these technologies. I’m also happy to report that there will be no changes to how our communities are run or our communications, including mailing lists, snort.org, clamav.net or social media sites. Please visit the corporate blog for more details and, as always, reach out to me with questions. I will still be your community manager and I look forward to many more years of being a part of this community. We welcome the introduction of the newest rule release for today from the VRT. In this release we introduced 25 new rules and made modifications to 18 additional rules. The Sourcefire VRT has added and modified multiple rules in the browser-ie, browser-plugins, exploit-kit, file-java, file-office, file-other, malware-cnc and server-webapp rule sets to provide coverage for emerging threats from these technologies. We welcome the introduction of the newest rule release for today from the VRT. In this release we introduced 37 new rules and made modifications to 30 additional rules. The Sourcefire VRT has added and modified multiple rules in the app-detect, blacklist, browser-ie, browser-plugins, exploit-kit, file-java, file-multimedia, file-office, file-pdf, malware-cnc, os-mobile, os-solaris, protocol-ftp, protocol-rpc, server-oracle and server-webapp rule sets to provide coverage for emerging threats from these technologies. We welcome the introduction of the newest rule release for today from the VRT. In this release we introduced 45 new rules and made modifications to 37 additional rules. The Sourcefire VRT has added and modified multiple rules in the blacklist, browser-ie, browser-plugins, deleted, exploit-kit, file-flash, file-java, file-office, file-pdf, indicator-compromise, indicator-obfuscation, malware-cnc, os-mobile, protocol-dns, pua-adware, server-apache, server-mail, server-other and sql rule sets to provide coverage for emerging threats from these technologies. We welcome the introduction of the newest rule release for today from the VRT. In this release we introduced 19 new rules and made modifications to 49 additional rules. The Sourcefire VRT has added and modified multiple rules in the browser-ie, browser-plugins, exploit-kit, file-identify, file-java, file-office, file-pdf, malware-backdoor, malware-cnc and server-webapp rule sets to provide coverage for emerging threats from these technologies. The Sourcefire VRT has added and modified multiple rules in the app-detect, blacklist, browser-firefox, browser-ie, browser-plugins, exploit-kit, file-flash, file-java, file-office, file-other, file-pdf, indicator-obfuscation, malware-cnc, protocol-imap and server-webapp rule sets to provide coverage for emerging threats from these technologies. We welcome the introduction of the newest rule release for today from the VRT. In this release we introduced 19 new rules and made modifications to 31 additional rules. Ports 1741 and port 8181 were added to the Stream5 "both" configuration line. The Snort.confs have been updated here: https://www.snort.org/configurations for your use. Special thanks to "Bram" for pointing this out. The Sourcefire VRT has added and modified multiple rules in the blacklist, file-executable, file-flash, file-image, file-multimedia, file-office, file-other, file-pdf, malware-cnc, os-mobile, server-oracle, server-other and server-webapp rule sets to provide coverage for emerging threats from these technologies. We welcome the introduction of the newest rule release for today from the VRT. In this release we introduced 31 new rules and made modifications to 12 additional rules. 27612 through 27616, and 27620.
this release and are identified with GID 1, SIDs 27618 and 27619.
this release and are identified with GID 1, SIDs 27610 and 27611. A coding error in ICMPv6 could lead to a Denial of Service attack. this release and is identified with GID 1, SID 27624.
this release and is identified with GID 1, SID 27609. The Sourcefire VRT has also added and modified multiple rules in the app-detect, browser-ie, browser-plugins, dos, exploit-kit, file-java, file-office, file-other, malware-cnc, malware-other, os-windows, policy-other, policy-spam, protocol-icmp, protocol-imap, server-other and web-client rule sets to provide coverage for emerging threats from these technologies. 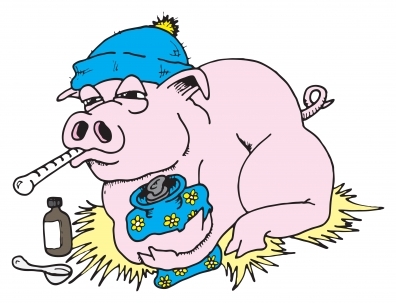 Thanks to Mr. William Parker, yet again, he does a great job of turning out a massive amount of install docs for Snort, and they have all been updated on http://www.snort.org/docs. I also updated his "Integrating Snort and AlienVault OSSIM" doc and the "How to make some Home Routers mirror traffic to Snort" docs. "At DEF CON last weekend, a team of researchers demonstrated an inexpensive cellular intrusion detection system (CIDS) built with a commercial femtocell, commodity hardware, and the open source Snort IDS. The researchers say the system, the first publicly available for cellular traffic inspection, can scale for enterprise deployments with better hardware and is a game-changer for securing personal devices at work." The Sourcefire VRT has added and modified multiple rules in the blacklist, browser-firefox, browser-plugins, file-image, file-other, malware-cnc, malware-other, server-apache and server-webapp rule sets to provide coverage for emerging threats from these technologies. We welcome the introduction of the newest rule release from the VRT. In this release we introduced 25 new rules and made modifications to 17 additional rules. The Sourcefire VRT has added and modified multiple rules in the app-detect, blacklist, browser-ie, exploit-kit, file-identify, file-office, malware-cnc, malware-other, os-mobile and web-client rule sets to provide coverage for emerging threats from these technologies.